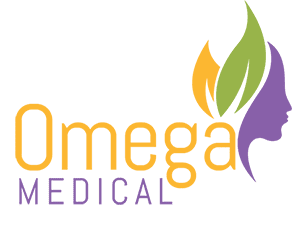 Omega Medical Offers Sclerotherapy for Spider Veins. Call Us Today for More Information at (973) 320-7347 or Book an Appointment Online! Eighty million Americans have some kind of venous disorder, and 80% of these are cosmetic. Although most Americans do not have a major circulatory problem, visible veins give the impression of aging and of poor health. These spider veins are often hereditary, though women are 3x more likely to develop varicose veins than men. Other factors contributing to the onset of unwanted veins are work related (standing for long periods of time), pregnancy, and trauma (injury) to the immediate area. Sclerotherapy can be used to address these unsightly issues. Surface veins such as spider veins are like a sponge that collects and drains into deeper vein channels. This passive collection network is redundant so even when damaged they are not essential to the circulation of the blood in the legs or facial areas. Newer agents such as Asclera Injection (Polidocanol) also have an anesthetic effect where the patient is more comfortable during and after the procedure. Adverse effects have virtually been eliminated and this newer agent is much more effective in starving the vein of protein and collapsing and eliminating these veins quickly.